I love exploring our tendency to humanize animal characteristics, and so I wanted to feature a dog as a part of my ongoing Animal Portraits series. But I was having a challenge honing in on an idea. So I decided to employ a technique that I had read about for tapping into creativity which both Dali and Einstein used. I let myself fall asleep while sitting up in a chair and holding a key. When I nodded off, the key dropped and woke me up. The idea being that we enter that creative dream state just long enough to tap into it’s essence, then pull ourselves out quickly. 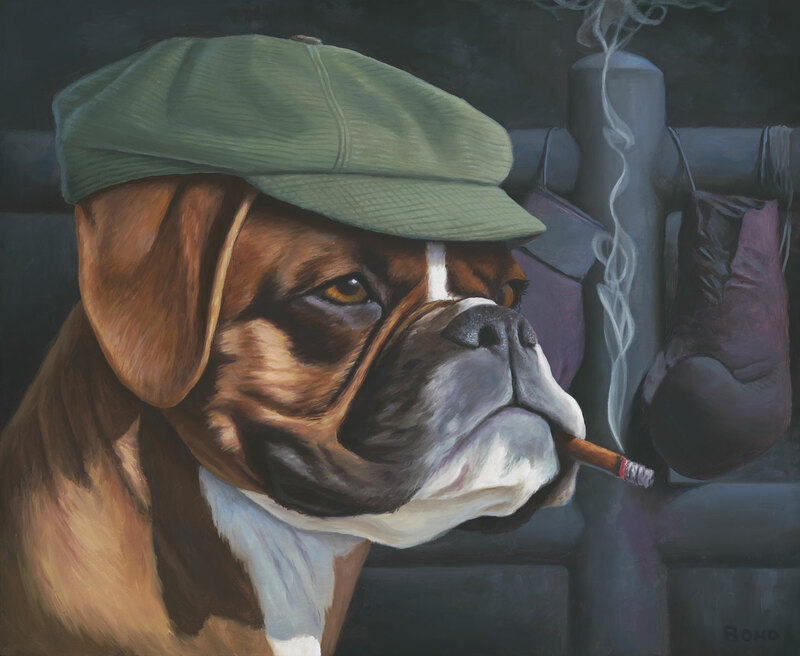 In that very brief time I had a clear vision of a boxer dog in an old-school boxing gym. The sense being that he was perhaps once a great athlete, but now hangs around the ring talking about and dreaming of his former victories.